A unique process of concentrating Trentino organic apple vinegar and Modena grape must results in a well-balanced, juicy 'taste of Eden'. Sprinkle on anything from sliced fruit and salads to main dishes and grilled meats. Limited Edition. By RITROVO SELECTIONSTM. 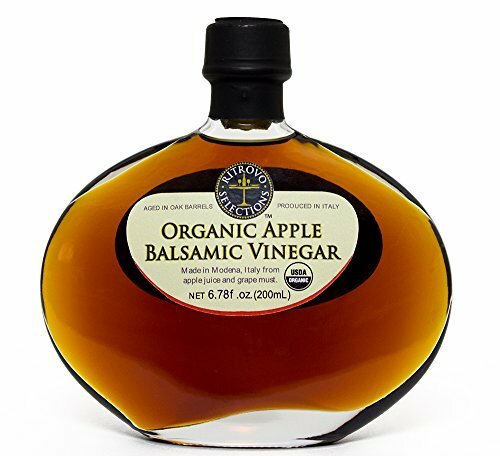 Ritrovo SelectionsTM Organic Apple Balsamic Vinegar was awarded a sofi for Outstanding Vinegar by The Specialty Food Association at the awards ceremony at the Javit's Center in New York City on Monday, June 30th. Made in Modena, the most renowned balsamic producing region in Italy. If you have any questions about this product by Ritrovo Selections, contact us by completing and submitting the form below. If you are looking for a specif part number, please include it with your message.